Advice for Chinese Year of the Water Dragon. Greetings for the Chinese New Year of the Dragon!! I wish you all a year of peace, harmony, happiness and prosperity through the balance achieved with the practice of Feng Shui. I stock Feng Shui gift lines and cures, and you may contact me for advice on the implementation of intuitive Feng Shui in your house or business. This year we encounter the clash between Dragon and Dog. This clash means accidents and broken bones for the Dog. Accidents involving cars, motor bikes and operating machinery are also indicated for the Dog. It is recommended that Dog people wear a pendant or symbol of the Rabbit for the whole year to minimize the negative influence of the clash and to help attract away the Dragon. Dog people are about to experience a more turbulent year with career, relationships, travelling and health. Moving house or moving offices are also indicated. When Dog people are planning a holidays, avoid travelling in the South-East direction as it is the direction of the Grand Duke in 2012. Dog people need to avoid sports involving car racing, winter sports and sky diving, they need to be aware of accidents involving pools, rivers, and the ocean. Therefore people born in years of Dog have to be particularly careful in 2012. They should take extra care against any mountain related activities. The penalty relationship with the Dragon this year means that plans may not work out the way you planed, making mistakes, procrastinating and missing out on opportunities. Rabbit people should benefit from the Water Dragon energy and so will Rat people, Tiger and Monkey people are all compatible with the Water Dragon year. Horse and Snake people will find this a difficult year. Goat, Rooster and Pig people will find this year non-eventful. To neutralize the negative effects of this year, Dragon people need to carry a Rooster pendant. Each year in Feng Shui we need to recognise that the Flying Stars energy moves from one sector to the next, causing a movement of good and bad luck. Using different cures which I recommend in different sectors takes the negative connotations off those sectors and enhances the positive energies of those sectors to bring prosperity. For example this year, the bad energy called “Five Yellow Flying Star” – symbolizing obstacles and misfortune, arrives at the South-East (Prosperity sector). It is recommended that one hangs a metal wind chime there to dissolve this bad energy. The Grand Duke this year moves in to the south-east, (Prosperity sector) it is not recommended to disturb the foundations or renovate in this sector as it will create more bad luck for the residences. When positioning your office desk, don’t have your back facing west, as your back will absorb the negative energy. Place a dragon head turtle behind you if there is no other position to sit. Features in the Fame & Reputation Sector, (South Direction). The “White Star 1” appears this year in the South sector. The ability to achieve financial success through promotions and career recognition is very strong. Having the White Star in this sector this year means we have the opportunity of attracting a mentor into our lives to teach us, bringing achievement in our chosen field. The White Star in this sector will bring financial gains from investments and also academic achievements, by placing metal ornaments in this sector. If the master bedroom is in this sector, place a brass gourd to promote good health. Having the White Star here will mean overcoming the obstacles and issues we encountered last year. To enhance the positive energies this year place a water feature or a round metal coin as large as you can get and place along with 3 I Ching coins to enhance financial success in this direction. Colours to enhance this year are black, blue, grey and charcoal. Colours to avoid this year are red, pink, purple, orange or burgundy. Avoid candles or fire colours this year in this sector this year. Can be found in the Career Sector ( North ) in the year of the Water Dragon. This star represents health issues that can adversely influence wealth. Possible problems may include sickness, disease, bad luck, stress, stomach and digestive problems, bloated feeling, gossip, back stabbing, family harmony and distress. Avoid doing any sort of renovations in this sector during 2012 as this area needs to be quiet. Cure for this sector is to hang 6 I Ching coins and a salt lamp in this sector this year. It is advised to hang a Bagwa mirror outside to deflect the negative energy flowing through. Having the master bedroom in this sector would make it important to place a set of 6 I Ching coins on the bed head to take away the negative energies, and don’t accessorise with red or triangle shaped ornaments, and avoid burning candles. Colours not to use in this direction this year are red, pink or purple. Keep doors closed. To enhance and protect wealth this year you can place a single Elephant with his trunk raised standing on a round amulet plate along with metal ornaments and brass wealth ingot. Use the colours of white, silver, gold or copper. Take extra care in the months of May, July, September and October. Found in the Relationship Sector (South-West). This flying star represents conflict, arguments, robbery, lawsuits and financial loss. Having the main entrance facing the north this year means increased negative energy of conflict, arguments, robbery, lawsuits and financial loss. Using red decorative ornaments, candles, lamps and lights in this sector, will act as the cure for the negative energy. Having the front door in this direction, having the driveway lower than the front door, or a busy road; you need to place a Bagwa mirror outside the front door. Colours to use in this direction are red, pink, purple, burgundy floor mat or red lamps. Do not place metal ornaments in this direction. Having a water feature in this sector is not recommended. Thoroughly check all documents being signed during the year to avoid financial or personal losses. If the front door faces the north, the male occupants should avoid any dangerous sports because accidents that cause broken bones are likely. Do not hang wind chimes of any material in the south-east in 2012; especially metal wind chimes, as it will worsen matters. Focusing on home security will be important this year. Make sure all smoke alarms are working. You need to be careful about placing a TV, fans or business equipment in this direction this year, as this equipment will create noise or vibration in the north of any room. In the Children and Creativity Sector (East). grey or black. Colours to avoid are red, purple or pink. Avoid displaying metal objects here especially large heavy ornaments. Placing fresh or artificial flowers or plants will enhance the positive energy of the 4 flying star. To enhance love relationships place a set mandarin ducks, Dragon headed Tortoise or statues of lovers in this direction. Displaying fresh Flowers in this direction will enhance the positive energies. Take extra care in the months of February, March, July, September, November and December. In the Prosperity Sector (South-East). 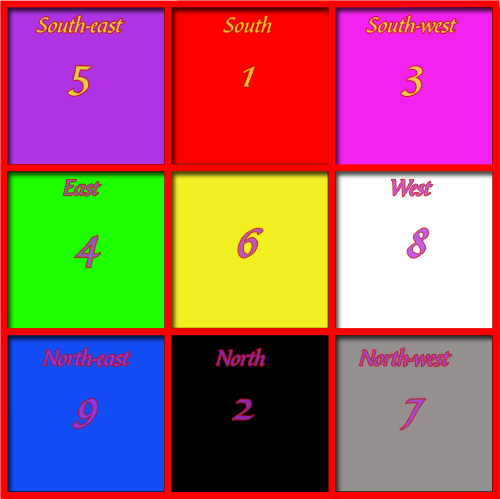 This brings the bad energy called “Five Yellow” – symbolizing obstacles and misfortune, indicating the East to be a bad luck sector this year, bringing the possibility of theft, arguments, loss of wealth, and legal problems especially if the front door or any important room faces the east. Colours to enhance this year are Grey, blue or white and charcoal. Colours to avoid this year are red and any of the earth spectrum colours. I strongly recommend placing a salt water cure, six rod metal wind chime which you need to tap everyday, a gold coloured Pi Yao, brass gourd and six Chinese coins tied with red ribbon need to hung on the eastern wall of the master bedroom is in this sector. Place a Brass Dragon in the southeast corner of the room if this is your bedroom. The golden Pi Yao is to face the east to protect your wealth, and also place more metal decorative objects in the southwest facing towards the northeast. This cure is one of the most protective cures you can use, and also a powerful enhancer. Remove all cures from previous years, putting metal ornaments in this direction. Do not activate the east with loud noises, keep the area quiet, and avoid at all costs doing any renovations. Hang a bagwa mirror in the southeast, especially if you have a door there. Only play peaceful music in this direction this year. Don’t use red or triangle shaped ornaments, or burn candles. The traditional Chinese method is to place a Pi Yao or dragon headed tortoise in the east sector of your home or office facing northeast to care for the energies in the sector this year. Take extra care in the months of March, April, August, October and December. The White Star six energy represents prosperity, and good health. This star also represents travel. To enhance your wealth, career promotions and good health this year, you will need to put some real quartz crystal in the earth sector this year or a hanging facetted crystal from the ceiling in front of a window or front door. Colours to use this year are black and blue. Furnishings or ornaments of these colours will reduce health issues if the master bedroom is in this direction. Avoid objects of red, pink or purple. Don’t furnish this direction with red ornament, water scenes or burning candles. Place a list of all your wishes and dreams in this sector with a set of ten I Ching coins or a Kwan Kung (god of wealth) to help bring them true this year. A main entrance or office/study situated in the east sector will bring prosperity. If the master bedroom is in this sector, place some blue or black, grey or charcoal cloth such as a rug or duvet covers to de-activate any negative energy. In the Travel & Helpful People Sector (Northwest) of your home;. The Flying Star 7 represents scandal and gossip. You need to beware of scandal, gossip and back stabbing involving family or people sharing the house, also of burglary, deception, copyright theft, especially in the months of March and December. You need to beware of deceitful people when doing business. Having this star in this sector will bring misunderstandings, pressure and business rivalries, that could also lead to losses, especially if your Chinese animal is the Rooster. Do not hang metal wind chimes and quartz crystals in the earth sector in this year of the Water Dragon, as it will worsen matters. Focusing on home security will be important this year. Make sure all smoke alarms are working. This sector will not be good for writers, artist or children studying and especially for female occupants of the house. Colours to use are blue, grey, charcoal and black. Colours to avoid are red, pink, purple and burgundy. Do not place metal ornaments in this direction. Keep the earth sector quiet, with doors and windows kept locked when going out. When the front door or office is in the earth sector, be careful of people trying to deceive you, robbery, arguments and loss of wealth; read fine print very carefully. Do not burn candles. Place 3 pieces of bamboo plant grown in a clear glass vase of water in the earth location. Take extra care in the months of March and December. Star Eight represents prosperity. To enhance more wealth and good health hang a facetted crystal from the ceiling. Putting a pair of Mandarin Ducks in the west of your home or office enhances the positive attributes of romance, and have your red money frog facing into the house, and not towards the door, and never take the coin out of his mouth. If you have your front door or master bedroom here, you may find positive improvement with your wealth, health and relationships by placing an amethyst and rose quartz crystal in the North West. Having the home office in this sector can promote wealth, reputation and romance. When activated correctly, it brings good fortune and exciting times even with the conflict of elements. Store your financial papers in the Northwest area in the year of the Water Dragon. Colours with which to furnish this sector are red, pink, purple, orange and yellow. Avoid blue, black, gold and silver. To keep the positive energies flowing leave the windows and doors open as often as possible. This is a great sector for children to study in, place a crystal globe on your deck to enhance concentration. Problems with health in the months of February, April, June and July. The purple star nine represents future prosperity, marriage, descendants, promotion and happiness, and brings luck. Opportunities for success of a business opportunity or a career promotion are enhanced when you have your front door or office in then North-east direction in the year of the Water Dragon. This year you can expect fame and acknowledgement, growth and improvement flying star 9 in this sector this year. Green leafy plants or violets are good in this sector this year. Place fresh flowers in a glass vase to help the flow of positive energy. To avoid relationship problem, business or personal, this year; do not decorate this area with red or triangle shape ornaments. Colours to use this year are black and blue and hang pictures of water and beach scenes to enhance the Prosperity Star. Avoid red, pink and purple. To keep positive energies flowing, leave the windows and doors open as often as possible. If you have your kitchen in the west direction, a water feature will help absorb any negative energy, and do not light candles. Avoid doing any sort of renovations in this sector during the year of the Water Dragon, because this area needs to be quiet. If you have a main entrance facing the north-west in this year, you would be advised to hang a Bagwa mirror with the Chinese i-ching on the back outside to deflect the negative energy flowing through. Hang 6 i-ching coins in this sector to combat influences of the other flying stars. I would not advise anyone to sit with their back to the North while working in their office. Your back will absorb the bad energies of conflict and robbery. it is better to face (north) this direction It is necessary to put a piece of red paper in the North-east sector of your office to minimize such a bad influence. If your front door faces the southwest in 2010, place a pair of Fu Dogs (not metal ones) just inside the house looking outwards as protective guardians for the year. You must also place a golden coloured Pi Yao in the southwest looking towards the northeast If your front door faces the Northeast in 2010, or if your main entrance is in the Northeast, be careful not to allow the doors to slam and do not renovate in this sector. Place a six-rod metal wind chime between your house and renovating work whilst the work is being done. If your front door faces the South in 2010, or if your main entrance is in the south in 2010, try to use another door to enter and leave. hang a Bagwa mirror with a Chinese I Ching coin on the rear for added protection in 2010. If your front door faces the North in 2010, or if your main entrance is in the North it is very important to keep it is clean and clutter free as possible. 1924 (wood) Feb 5, 1936 (Fire) Jan 24, 1948 (Earth) Feb 10, 1960 (metal) Jan 28, 1972 (water) Jan 16, 1984 (wood) Feb 2, 1996 (Fire) Feb 19. Compatible with: Dragon, Monkey, Ox. Less Compatible with: Snake, Dog, Pig, Rooster, Goat, Rat, Tiger. You can have charm, poise and common sense. You need to be careful of gossip, and when you hear gossip, do not repeat it. The rat people can be easily distracted. You can be very good handling money. Family and friends will play most important parts all through your life. The Rat can have very long life, always being popular and having many friends. In the Year of the Water Dragon: Rat People can expect 2012 to be happy and relaxed, unlike 2011.This year can be successful for Rat People if the Rat Person is optimistic and confident in his actions. Rat People have the ability to adapt to sudden changes and unexpected problems. This year will present chances to get your finances back on track. Business and career-wise, everything improves this year. With money, thoughts and ideas should be fully explored and investigated. There will new job offers or chance for promotion. Opportunities to increase your income will come through the offer for extra work and starting up new business. Rat People who have found it difficult to get a new job or promotion will find their luck changing this year. You may experience many opportunities for success, but you can’t be too complacent. The old problems of last year will be resolved in the early part of this year. Rat People must address problems immediately as they present themselves, postponing tackling them will create more unnecessary worry and confusion later. Before entering any new ventures, business or personal, go behind the scenes and investigate all information supplied to you, because other people could be misleading you. Think out all decisions and do not make impulsive decisions as this could lead to failure of promotions. Be careful about gloating of your successes with work colleagues and clients, as the tall poppy syndrome could appear with some associates back-stabbing you and lying to discredit your reputation. Rat people will need to be prudent, thrifty, and to stay on the lookout for signs of a business scam. Delays, misprints in important documents, or important papers relating to your finances being lost could prove to be a problem this upcoming year. Favourable financial gains are expected in this year for the Rat. Rat People experience a very sociable year, and romance will be good for those born in 1984. Rat People need to be aware of some of the people entering their personal life as they may be out to deceive you. Friendships will play a big part of your life this year, with some of your friends demanding time and wisdom. Single Rat People could see a new romantic interlude start, especially those born in 1924 and 1984. Married Rat people’s relationships could be neglected, or an inadvertent remark or gesture could lead to discord with loved ones, causing conflict and disharmony. It is important to take time out with the significant others in your life, and to enjoy their company. This year will see lots of success, although some will need to attend to your health. Rat people will need to beware of health issues concerning the stomach, particularly if you are born in 1972. You may tend to over-indulge on good food and alcohol. You will need to keep on a healthy diet, adequate rest, and regular exercise particularly those born in 1960. This is a time of studying for those born in 1996 as how hard you work this year, or not, will impact on you later in life. For your protection, you should have a pendant of an Ox with you at all times throughout the year in 2012. 1961 (metal) Feb 15, 1973 (water) Feb 3, 1985 (wood) Feb 20, 1997 (Fire) Feb 8. You can be down to earth, reliable, logical, and have a fierce temper when agitated. Ox people can also be affectionate and easy-going. Ox people take pride in their appearance and their home being neat, tidy, quiet and studious. Music can be an important part of the Ox people life. Having loyal friends and loving partner is very important in your life. Ox people make very loyal friends. In the Year of the Water Dragon: For Ox people in the Dragon year can expect a year of hard work and there will be different levels of stress within your career or business. This year is not all bad news, as it is time to study anything that you are passionate about, change professions, start your own business. If you are prepared to work hard, the rewards will follow. To avoid misunderstanding in your workplace or business, communication in very important as is learning how to compromise. Ox people have to use caution and don’t trust anyone to handle any decisions concerning investments of finances and business dealings. You will need to double check all information pertaining to money and business dealings. Ox people should be wary to avoid conflicts that might happen in the coming year, by not being judgemental about issues that may involve you in your private or work life. September, October and November are the months to demonstrate your ability to people who can help you achieve the promotions and acknowledgement of the hard work you have put in this year. Ox people in business from September onward can expect expansion of your business. Using different marketing strategies will improve business. Interacting with successful people in the public eye will also bring recognition to your business. This year could present new opportunities for leadership jobs, management jobs, more job responsibilities and marketing promotions. But any negligence through burning the candle at both ends and making mistakes because of tiredness will provide the chance for your enemies to block your career path. Be very particular when signing documents and read the small print as this could cause many arguments and legal issues. Ox people need to avoid being drawn into other people’s scandals, or getting involved in internet scams and identity fraud. Shred all personal documents and change passwords regularly. Don’t invest in any “get rich quick” schemes. Double check any fine print, when signing any documents or contracts. Ox people born in 1973 have to a wary of over- spending, when there is increased money flow. This could cause problems in the future. Ox people who have contributed hard work to non profit organisations, this year is when you could receive recognition of your work. Priority this year for Ox people should be given to taking the time to bring new people into your personal life. This will create the opportunity for romantic times with a new love. Some months will be better for romance than others, those include September to November. For married Ox people born in 1961 and 1973 relationships could be neglected or an inadvertent remark or gesture could lead to discord with loved ones, causing conflict and disharmony. It is important to take time out with the significant others in your life, and to enjoy their company. Couples need to beware of problems with communication from September to November 2012. Ox people will be offered good opportunities and can expect new relationships and even rekindling of existing ones. Your year will be busy, but leave some time for play and make sure you take plenty of rest. A busy lifestyle could cause you to become unhealthy in 2012, so please make sure to eat plenty of fresh fruit and vegetables and get plenty of exercise, especially ox people born in 1961 and 1973. To enhance your protection; Ox people need to wear or carry a pendant of a Rat with you this year. 1962 (water) Feb 5, 1974 (wood) Jan23, 1986 (Fire) Feb 9, 1998 (Earth) Jan 28. Least Compatible with: Rooster, Snake, Monkey. Tiger is considered to be magnetic, passionate and elegant. When the Tiger completes a task, it’s noticed. Tiger people can be secretive and selective who they confide in. The Tiger personality can be marred by being indecisive and stubborn. Tiger people can be very generous, but hate the feeling of having their generosity taken for granted. Tiger people can be flexible, honest and truly entertaining. You have a loyal a friend for life when you befriend a Tiger person. In the Year of the Water Dragon: Tiger people will find the year very rewarding as long they exercise self-control, and don’t unthinkingly follow impulses, because this could cause unexpected problems and dramas. Opportunities to implement new ideas in to your work place this year will be received positively, and lead to promotion and recognition of your hard work. Employment opportunities for tiger people looking for work or changing job are very positive this year. Putting in lots of effort and hard work this year will encourage success. Positive results of all the hard work the tiger people put in 2011 will recognised in early 2012. This year will be a little easier but you can’t take your eye off the ball of success. Financial success for Tiger people will be determined by being logical and not over committing to purchasing things you want but do not need. This year will pay dividends if you decide on investment in blue chip companies. Research is very important so you don’t get involved in scams or get rich schemes. Learning to plan and budget will help ease financial burdens. Tiger needs to take extra care in planning and thinking all projects through. You need to avoid listening to gossip and back-stabbing when networking with clients and work colleagues as this can create mistrust between everybody, Forewarned is forearmed. With good people skills, your friends or work colleagues will help you to overcome the challenges within the job, creating a chance for a promotion. September to November will present opportunities to expand your business, start new projects and become involved lucrative new business ventures. Establishing new partnerships and developing plans for the future. April to July will be very busy time work wise; being dedicated and focus on work will alleviate some of the crises around this time. Tiger People have to be aware that the price for successful achievement is to totally focus on work, a penalty is not having time to listen to the needs of your partner, thus causing your relationship to drift apart, and Tiger People need balance. You need to exercise control by not letting your career stifle the happiness in your relationship. People will look to your calm attitude and tolerance in their times of need, so be prepared and not distracted entirely by work. July, August and September are a great time to travel to new places and have great experiences with different cultures. This time is also where your social life is in the limelight with visits to theatre and all sorts of lavish entertainment. Romance is in the air for tiger people in 2012. Single tigers will find romance in unexpected places this year. Single tiger people are advised to take things slow and not jump straight in to a relationship in 2012 as this could burn out quite fast. Tiger people born in 1950 should be sure to make time to relax with friends and family in 2012 as there is a risk of you over working this year. Tiger people born 1938 may need to seek legal advice before signing any contracts as legal problem could occur due to misunderstanding. Tiger people born in 1962 will celebrating your 50th Birthday this year, you may organise a trip with loved ones overseas; this could turn out to be a great event but please be careful to only spend as much as you can afford. For luck and protection wear or carry a symbol of the Pig this year. 1915 (wood) Feb 14, 1927(Fire) Feb 2, 1939 (Earth) Feb 19, 1951 (metal) Feb 6, 1963 (water) Jan 25, 1975 (wood) Feb 11, 1987 (Fire) Jan 29, 1999 (Earth) Feb 16. Rabbits might be outwardly cuddly, warm and affectionate, nevertheless secretive and selective who they confide in. Rabbit people love hosting parties and enjoy being the centre of attention once in a while. When being over cautious, the Rabbit can be a bit boring. Rabbit people are known to be one of the luckiest signs in the Chinese Astrology chart. In the Year of the Water Dragon: Rabbit people can expect a year of highs and lows but your year will be better than other signs. Your success this year depend on how much work you are prepared to commit to, as you may want to change positions because you think there will more opportunities of success. Please stop and think about these changes, because they may not deliver on their promises. Should you be unsure about signing contracts or committing to a personal relationship, think about first as you could be creating stressful issues. This year, use a diary to plan your weeks, and don’t try to be in two places at once, or problems will be encountered, as the dragon year is a very fast year. Not being organised will cause problems in business, your career and personal relationships. This is a good year to learn new skills or start new hobbies, and perfect for study and taking exams as it can lead to a change in career that you will benefit from in 2013. This is not the year for changing job. Rabbit people will find it hard to cope with any issues that arise. Having a confident attitude is important, as you are likely to be in the spotlight this year. Do not loan money to friends, go guarantor for friends or family, or co-sign loans for friends or family, or try any get rich quick schemes suggested by friends and family to prevent money loss. Beware of any legal issues involving courts or contracts, reading all important documents carefully. This is the year to update home improvements, plan that long overdue holiday and spend time with family and friends. In general, Rabbit people should budget their expenses and adjust their financial plan this year. Rabbit people born in 1951 will enjoy the time, family and friends and a great year to complete those unfinished renovations. Rabbit people born in 1975 will have to the time to think before making major decisions. The health issues for Rabbit people this year will be to think about giving up smoking, changing your diet and looking at bringing balance into your life. For all rabbit people there could health issues with your heart and joints. Rabbit people will have good news about engagements, marriage and pregnancy connected to your family. Some great opportunities for romance are indicated for single Rabbit people, leading even to marriage. Rabbit people will have to pay close attention to personal relationships, and be careful to control their tempers to avoid arguments when they don’t get their own way. Spending time with loved ones, in a relaxed atmosphere, will rejuvenate the Rabbit’s spirits during a busy and intense year. For luck and protection: wear or carry a symbol of the Dog. 23 Jan 1928 - 9 Feb 1929 (Earth), 8 Feb 1940 - 26 Jan 1941 (metal), 27 Jan 1952 - 13 Feb 1953 (water), 13 Feb 1964 - 1 Feb 1965 (wood), 31 Jan 1976 - 17 Feb 1977 (Fire), 17 Feb 1988 - 5 Feb 1989 (Earth), 5 Feb 2000 - 23 Jan 2001 (metal), 23 Jan 2012 - 9 Feb 2013 (Water). Compatible with: Rat, Monkey, Snake, Rooster, Tiger. Less Compatible with: Dragon, Ox, Rabbit, Pig, Goat, Horse. Least Compatible with: Dog. Personality of People born in the year of the Dragon; can be a bit assertive, energetic and talented. Dragon people do have a tendency to be condescending and tactless without realising it. Dragons are generally very robust health-wise and can create a successful career in any field they choose. In the Year of the Water Dragon: Dragon people should be the masters this year, but the Dragon person will have to deal with unexpected issues that need to be addressed straight away. With a positive attitude, everything will work out very well. For Dragon people, success will come by planning and organising everything properly, and not leaving things till the last minute. Dragon people will be inclined to take on a lot more responsibility, and this will lead to your gaining the success you desire. Dragon people will be presented with many opportunities to work their way up the ladder in their profession this year, and this has the possibility of big advancements in the workplace. You will achieve promotions and opportunities you thought had passed you by. Career-wise, make sure you follow up leads and career openings with vigour, in order to take advantage of the fast-paced energy of this year. When applying for promotions or a new job, re-do and update your résumé and pay attention to all details asked of you. This year could present new opportunities for leadership jobs, management jobs, more job responsibilities and marketing promotions. But any negligence through burning the candle at both ends and making mistakes because of tiredness will provide the chance for your enemies to block your career path. The dragon year is a fast moving year, so be sure to seize an opportunity when it comes your way. This may came in the form of learning new skills and expanding your existing ones by training or of taking a hands-on approach. There is the possibility of improving your financial position this year, as long as you do not take a lazy approach by sitting back and letting things pass you by. If you commit to something, you may be rewarded with a gift of money or a bonus at work. Please keep an eye on your finances this year as overspending can easily happen in this very fast paced year. This is a year to enjoy the company of new people entering your life. As your social circle expands, remember not to neglect the people already in your life. For those single Dragons, more people will come into your life, bringing the chance for new relationships to start, leading to possibility of closer commitments. This year will be a very busy year work-wise, socially and romantically. This is a year where a lot of Dragon people will find their spiritual enlightenment. Dragon people of extrovert nature may attract unworthy and dishonest people who are carefully concealing their true colours. The Dragon wisdom will help you get rid of unnecessary arrogance, aggression, and excessive ambition. Your ability to communicate and be honest can help you find friends and be trusted in the workplace. With all the socialising this year, you will need to be watchful of your diet, incorporate healthy eating habits, and exercise into your daily routine. Dragon people born in 1940 will need to very particular when signing documents, and read the small print as this could cause many arguments and legal problems. Dragon people born in 1952 need to have more faith in your talents, and put them to more use through 2012, when your work will be acknowledged with success. Dragon people born in 1964 will need to take quiet relaxation time when possible during the year and plan travel overseas to help unwind from the busy but rewarding year. For luck and protection: wear or carry a symbol of the Rooster this year. 10 Feb 1929 - 29 Jan 1930 (Earth), 27 Jan 1941- 14 Feb 1942 (metal), 14 Feb 1953 - 2 Feb 1954 (water), 2 Feb 1965 - 20 Jan 1966 (wood), 18 Feb 1977 - 6 Feb 1978 (Fire), 6 Feb 1989 - 26 Jan 1990 (Earth), 24 Jan 2001 - 11 Feb 2002 (metal). Compatible with: Ox, Rooster, Dragon. Less Compatible with: Rat, Rabbit, Snake, Horse, Dog, Goat. Least Compatible with: Pig, Monkey, Tiger. Personality of the People born in the year of the Snake: Snake People are considered to be intelligent and highly intuitive. The Snake can be amusing and romantic, with a definite flirtatious streak. The Snake hates being challenged or criticised, making them a sore loser. The Snake is very lucky with money and is fond of gambling. The Snake can be quick-witted and enjoys reading, music and the spiritual side of life. In the Year of the Water Dragon: Snake people will have a year of wins and losses and how you react to these situations will matter more than the actual situations themselves. You need to avoid listening to gossip and back-stabbing when networking with clients and work colleagues, because this can create mistrust. Snake people involved in the creative arts such as writers, artists and poets will find this year very inspirational, achieving recognition for their work. You need to work hard and stay focused for your career to stabilize. If you don't do your work in a smart way, your reputation will be damaged. Some people close to you, either family or business colleagues, are not to be trusted, as they could be gossiping or back-stabbing you. Be very particular when signing documents, and read the small print as this could cause many arguments and legal issues. Snake people need to avoid being drawn into other people’s scandals, or getting involved in internet scams and identity fraud. Shred all personal documents and change passwords regularly. Don’t invest in any “get rich quick” schemes. Double check the fine print, when signing any documents or contracts. To achieve the success Snake people desire, they will need to apply hard work and discipline in career or business, and use their intuition to guide them onto your right career path. Snake people this year will be concentrating on career and finances. You need also to be involved with family, allotting time to spend with family and friends. Snake people need to allow time out for themselves, or else depression may become a problem. Snake people need to pay close attention to health issues concerning a new exercise program, revising regular diet. It is recommended to incorporate relaxing exercises such as walking, yoga or meditation, into your daily routine. Taking time out for yourself is very important to help deal with stress. Snake people can become lazy this year if they do not keep an eye on their personal health. Snake people will experience a new love, or the return of an old love will revitalize you. There will be a quiet period when you can take stock and assess what has been done. During the months of March, April and May take the time to relax and this will be effective in strengthening partnerships during this period. Some very memorable celebrations will be experienced by Snake people this year. Expect some special occasions in the months of October, November and December. Some great opportunities for romance are indicated for single Snakes, leading even to marriage. These special opportunities could come through outings with friends, socialising with work colleagues, visiting galleries or going to shows. The Snake is in for a challenging year, although you should not panic as you can still have a great year. Horoscope Colours: Brown Gold, Green. For luck and protection: wear or carry a symbol of the Monkey this year. Place a set 6 I Ching coins on your bed head to bring good luck. 1918 (Earth) Feb 11, 1930 (metal) Jan 30, 1942 (water) Feb 15, 1954 (wood) Feb 3, 1966 (Fire) Jan 21, 1978 (Earth) Feb 7, 1990 (metal) Jan 27, 2002 (water) Feb 12. Can be fun loving, charming and attractive. Horse people love throwing parties, having lots of people around, and being the centre of attention. They can be egotistical, quick tempered and impatient. The Horse is considerate and protective of friends and companions. Being in the company of Horse, you can expect intrigue and excitement. In the Year of the Water Dragon: Horse people will experience a year of uncertainty with periods of stress and of searching for guidance and lacking in direction. This year you need to take one day at a time. You will need to be careful in areas of your life. Some Horse people will still achieve their goals, but need to be persistent. Horse people need to enjoy the positives of this year. This year is one for the discovery of new hobbies; join a craft club and to take care of your spiritual side. To attain success, approach each issue in the workplace with calm and precision, as any mistakes made by Horse people this year will cause a loss of money or job. Work hard and be well focused. Don’t take your career, health, or personal life for granted this year, as you need to pay close attention to each area of your life to achieve success and balance. It is very important that you learn to curb impulsive speech, and to control your temper when you don’t get your way, because this could lead to the ending of a personal or business relationship. Before entering any new ventures, business or personal, go behind the scenes and investigate all information supplied to you, because other people could be misleading you. Think out all decisions and do not make impulsive decisions as this could lead to failure of promotions. Be careful about gloating of your successes with work colleagues and clients, as the tall poppy syndrome could appear with some associates back-stabbing you and lying to discredit your reputation. Horse people will have to be prudent, thrifty, and stay on the lookout for signs of a business scam. Delays, misprints in important documents, or important papers being lost could prove to be a problem for your finances this upcoming year. Horse people need to restrain themselves from over-spending and over-indulging in high calorie food. Expect good news in April and May, these are the months to make the most of opportunities for promotions and business profits or job changes. Prepare for unexpected expenses with home and car. Don’t make decisions or become involved in other people’s affairs, without first knowing the story from both sides. Some people close to you, either family or business colleagues, may be offended by your words and deeds. To avoid conflict, be very clear about subjects you are commenting on, and don’t gossip. Horse people need to pay close attention to health issues, considering a new exercise program, and revising your regular diet. It is recommended you incorporate relaxing exercises such as walking, yoga or meditation into your daily routine. Taking time out for yourself is very important to help deal with stress. Horse people born in 1942 can expect a windfall this year. For those smokers who were born in 1942,1954 and 1990, this is the year to give up before lung problems arise. Horse people are very generous when helping friends and family; don’t forget to give yourself some quality time. Horse people need to stay focused this year, Think of the consequences before taking action on any issues that arise. For luck and protection wear or carry a symbol of the Goat this year. Place a set 6 I Ching coins on your bed head to bring good health this year. 1967 (Fire) Feb 9, 1979 (Earth) Jan 28, 1991 (metal) Feb 15, 2003 (water) Feb 1. Least Compatible with: Ox, Rooster, Dog. Graceful and optimistic, kind and easy going; the Goat can also be petulant and restless. The goat tends to throw the towel in instead of trying to solve the problem. The goat can be charming while revealing their true emotions. The Goat is very talented and imaginative and happiest when being creative. In the Year of the Water Dragon: For the Goat people, this year will not be so hectic, so expect more balance and success from your hard work. For those who experienced setbacks and delays last year, you can now receive the rewards for perseverance, in both your personal and business life this year. Your public image will be in the spotlight this year; so be very particular about how you communicate and dress. Keep your own life balanced by not taking on other peoples problems, because to do so would bring your spirits down, tipping you into depression and interrupted sleep. Career opportunities will present themselves for bored Goat people through networking, by paying attention to detail, and by doing more study or courses. You will need to know who your rivals and competitors are when applying for new job positions. Promotions and changing careers are achievable this year. The Goat can sometimes rest on his or her laurels, and needs to know that it takes hard work to bring opportunities where success can be achieved. Goat people are easily distracted; you have to stay focused on any tasks at hand, so don’t let success blind you, or divert you from your path or dream. Do not rush into decisions without thinking them through. Be very particular when signing documents and read the small print carefully, else it could cause many arguments and legal issues. Goat people will see better money this year, but you must use restraint with this extra cash in your pocket. Take the time to look at your long term financial future. The year of the Water Dragon will put the spotlight on relationships for the Goat people. Married Goat people will not be able to avoid the problems that have arisen in the last couple of years in your marriage; you must communicate with your partner to revolve the issues either way. You will need to pay close attention to personal relationships, and be careful to control your temper to avoid arguments when you don’t get your own way. Single Goat people are in for an excellent year for new romances and moving to the next level in any steady relationship. Goat people need to be wary of some stressful time within relationships. This is the year where a lot of new people will enter your life for advice and guidance. Some of the people will become good friends and there is the opportunity for a new romance starting. You will be presented with the opportunities to start new hobbies, learning new skills. Reconnect with nature and your spiritual side. Goat people need to use caution when purchasing expensive items; do your research first or there may be loss of money. Expect plenty of activity in your home life, with lots of social engagements for all the family. Being organised and using a diary are very important. Romance is in the air for goat people this year. The opportunities for new romances, engagements or marriage proposals could come in the months of September, October and November, with the rest of the year bringing happy social occasions. This is a great year for Goat people looking to starting a family as it is for them the year of fidelity. Goats born in 1991will receive lots invitations to social events; those born in 1943 will have the opportunity to share their life experiences with family and friends throughout this year. Goat people born in 1955 will be presented with some golden opportunities, so take them up. Goat people born in 1967 are advised to stop reflecting on the past, as you may miss the opportunities being offered to you. Those born in 1979 need to focus on family more this year as people from your past are coming back. This is the year for goat people to reconnect with lost friends, old friends and family members. For developing new personal relationships, this will be your best year yet. May to September may have outstanding moments for making new, special friends and enjoying the company of loved ones. 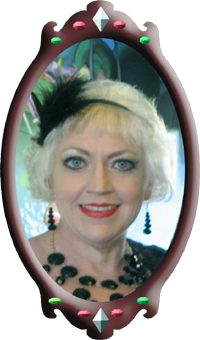 New romantic relationships will get closer, even a marriage opportunity. Married Goats, will encounter a great marriage year in your life. Young couples might have a new born child arriving. For luck and protection wear or carry a symbol of the Horse this year. Place a set 6 I Ching coins on your bed head to bring good health and wealth this year. 1968 (Earth) Jan 30, 1980 (metal) Feb 16, 1992 (water) Feb 4, 2004 (wood) Jan 22. Least Compatible with: Snake, Tiger, Pig, Rooster. Playful, lively, fun and a quick thinker, the Monkey can get bored very easily and finds it hard to concentrate one thing at a time. The Monkey is ambitious and has a talent for investing money. Though they are vain and offhand, Monkeys are quick witted and have great sense of humour, which means that people enjoy having Monkey people attend their parties as they are a great party guest. The Monkey’s life will never be dull and predictable! In the Year of the Water Dragon: For Monkey people, this is the year where all your hard work over past few years will be rewarded. Opportunities will arise to start your own business, learning new skills, become a specialist in your profession. Monkey people will want to find the answers through studying alternative theories and therapies. Warnings do not take on too many tasks at once, as this may bring on burn out, or failure to see problems and mistakes you may have made. Don’t forget to acknowledge anyone who has helped to achieve your promotions. You need to work hard and stay focused for your career to remain on a stable course. If you don't do your work in a smart way, your reputation will be damaged. Some people close to you, either family or business colleagues, are not to be trusted, as they could be gossiping or back-stabbing you. Monkey people will make much progress through gaining knowledge, experience and spiritual growth. Changing your attitude and perspective will be important to gain this success. Do not rest on your laurels and expect things to happen. When you encounter any conflicts, it is essential to stay positive. Staying positive will lead to a happier and more successful year ahead. Don’t let other people control your investments, keep focused on all daily work schedules, and watch your words and alcohol intake when socialising, in order to avoid any indiscretion that could cause you to lose money. This is the year to have your outstanding performance noticed, helping you to achieve success in your career or business. This is the best year yet for Monkey people to fulfil a desire to turn a hobby or passion into a successful business. Monkey people looking for work will find success this year. Monkey people will have to be prudent, thrifty, and to stay on the lookout for signs of a business scam, delays, and misprints in important documents or important papers being lost, as your finances could prove to be a problem this upcoming year. Financial gains are expected in this year for people born in the Year of the Monkey. For the Monkey person with creative talent for writing; this is the year to indulge your passion and start writing with success coming in 2013. Monkey people will need to be cautious with the increase of money this year, as poor investment or buying unnecessary items will be foolish. This year promises to be exciting and lively, so get your glad rags out, because this year brings lots of invitations to parties and gatherings, increasing as the year progresses. Socially September and December are best times for new and interesting people to catch your attention and hold it. Spending time with loved ones is also important as you may take your family and friends for granted. A new romance is indicated in the months April, May and June for single Monkey people; beware to enjoy the romance and not to rush it as this could cause disaster. Be patient. Don’t make decisions or become involved in other people’s affairs, without first knowing the story from both sides. Monkey people born in 1944 and 1992 will need to hang a metal gourd beside your bed for success. Monkey people may tend to over-indulge on good food and alcohol this year. You will need to keep on a healthy diet, adequate rest, and regular exercise. Pay close attention to health issues involving bad diet, lung problems and smoking. This year is about the travel you could not do last year. Start looking to visit places you have dreamed about, as this is the year to go. For luck and protection wear or carry a symbol of the Snake this year. Least Compatible with: Tiger, Monkey, Rabbit, Ram. While often very popular, extravagant and creative, the Rooster can be brutally honest and likes to be pampered with attention. The Rooster can be truly a loyal friend, unafraid of voicing opinions on any subject, regardless of the company they are in. Roosters are fiercely loyal to family and friends who need to be defended. In the Year of the Water Dragon: Rooster people are in for a great year! For those Rooster people who experienced setbacks and delays last year, you can now be rewarded in both your personal and business life this year. Career promotions and achievement of success are indicated, so you will need to act quickly, no hanging back to see what happens. Your confidence is at a high this year, providing you with the ability to interact with work colleagues to have your ideas listened to, which will gain success for you. Don’t forget to acknowledge anyone who has helped you to achieve your promotions. Financial success will come this year for Rooster people who are self employed through the achievement of major goals, so expect some very good news. This year you will make sense of your life, and you will regain your power. Rooster people will have the advantage of good luck, but there will also be some obstacles to over come. You will need to be aware that the price for successful achievement is to totally focus on work; a penalty is not having time to listen to the needs of your partner, thus causing your relationship to drift apart, and Rooster people need balance. You need to exercise control by not letting your career stifle the happiness in your relationship. You will need your calm attitude and tolerance in their times of need, so be prepared and not distracted entirely by work. Rooster people can expect a year of wealth, romance; and good health. You may experience an increase in income, either due to a pay rise or an unexpected windfall. However, you must put in the effort and communicate your career intentions clearly, as your window of opportunity may close unexpectedly. This year brings to Rooster people to do the socialising opportunities you didn’t get last year, appearing in the social limelight and doing lots of entertaining, visiting the theatre and attending social events. Focusing on friendships will play a big part of your life this year, with some of your friends demanding of your time and wisdom. Single Rooster people may find new love interest through a friend or at a family celebration. You need to learn how to pace yourself as you could possibly over-commit yourself at work to impress bosses and party too hard, which could lead to burnout. All rooster people need to wear Hematite to help with emotional matters. Regarding personal relationships; gossiping between friends could cause troubles for you. Keep all personal information to yourself. Don’t forget to enjoy the company of family and friends this year. Don’t make decisions or become involved in other people’s affairs, without first knowing the story from both sides. Some people close to you, either family or business colleagues, may be offended by your words and deeds. To avoid conflict, be very clear about subjects you are commenting on, and don’t gossip. Married rooster might have a new-born child arriving. You need also to attend to your energy levels as you could become exhausted by long hours at work. It is recommended to incorporate relaxing exercises such as walking, yoga or meditation, into your daily routine. Taking time out for yourself is very important to help deal with stress. Rooster people born in 1945 should to seek help from professionals when dealing with legal documents. For luck and protection; wear or carry a symbol of the Dragon this year. 1970 (metal) Feb 6, 1982 (water) Jan 25, 1994 (wood) Feb 10. Least Compatible with: Dragon, Goat. A Dog person is very hard workers, likes to be a perfectionist, and spends a lot of time on the small details. A negative trait of the Dog is that you can be inclined to be anti-social, pessimistic and stubborn. Dog people are among the most honest and loyal people to have as a friend or business partner. Dog people will listen to your issues before giving their intuitive advice. In the Year of the Water Dragon: Dog people have a penalty relationship with Dragon. This year the dog people will need to avoid conflict between work colleagues and disharmony in personal relationships. This year’s focus will be on work, and more work in your career, with the possible rewards of some unexpected promotions and developments. Changing your attitude and perspective will be important to gain this success. Do not rest on your laurels and expect things to happen. Make them happen. Work at gaining new knowledge either through studying, doing courses to enable you to gain the promotion you are seeking, or to help in starting your own business. This year dog people need to be silent and keep their opinions to themselves for harmony in all parts of their lives. Do not take unnecessary risks such as gambling with your finances. Saving your money and not spending it is recommended for this year. Dog people need to be very careful with legal problems involving courts and possibly to do with contracts, so please be extremely careful signing contracts. Through some of the difficult time of this year, seek help and support from the people around you, don’t alienate your support group with uncalled bursts of anger and frustration. This year will see you receive the rewards or penalties for the karma you have created in the last few years. Many opportunities for success will be presented to you this year. Go behind the scenes and investigate all information before making any decisions dealing with your career and personal relationships. Dog year people are not to let distractions divert their attention away from planning successful business projects. Hard work is needed to maintain your position in your career or business and lifestyle. Dog people can expect several surprise gifts or bonuses during this year from unexpected people. Be careful about gloating of your successes with work colleagues and clients, as the tall poppy syndrome could appear with some associates back-stabbing you and lying to discredit your reputation. Make sure you wear your protection animal of the Rabbit. Remember forewarned is forearmed. Dog people will have to be prudent, thrifty, and to stay on the lookout for signs of a business scam, delays, and misprints in important documents or important papers being lost as your finances could prove to be a problem this upcoming year. You need also to attend to your energy levels as you could become exhausted by long hours at work. It is recommended to incorporate relaxing exercises such as walking, yoga or meditation, into your daily routine. Taking time out for yourself is very important to help deal with stress. When Dog people travel to other countries this year with hot weather please be careful of food poisoning. So as not to become boring, being spontaneous, taking fun trips and organising holidays is indicated. Those in permanent relationships will rekindle the flame of passion and communication that has been neglected in the last few years, so look forward to more quality time with your partner. Some great opportunities for romance are indicated for single Dog people, leading even to marriage. A new romantic interlude could start from a social event. .
Best Hours of the day 7-9 pm. Horoscope Colours: Silver and Red. For luck and protection; wear or carry a symbol of the Rabbit this year. 1971 (metal) Jan 27, 1983 (water) Feb 13, 1995 (wood) Jan 31. Least Compatible with: Snake, Monkey. A Pig person is a gentle, kind and sentimental creatures, quite melancholy, and with a tendency to be a bit over-sensitive. The Pig loves to socialise, mix with lots of different people and loves to attend parties, gossip and chit chat. The Pig is highly intelligent, but prefers to keep this side of their nature a secret. The Pig has the ability to attract money just when needed. In the Year of the Water Dragon: Pig people will have experience some growth in their career or business throughout 2012. The year of the dragon will be encouraging for the Pig, but not great. The last few years have been mixed with unresolved issues; this year will bring resolution to some of your issues. By following good advice and working hard, Pig people can experience moderate success in wealth, career and general luck. For those Pig people who have a passion for spiritual and alterative therapies, this is the year to turn your passion into a business. The courses and study opportunities will be more available this year. This is the year where a lot of new people will enter your life for advice and guidance. Some of the people will become good friends and there is the opportunity for a new romance starting. The main lesson this year is to think analytically and not make decisions emotionally. Results of making reckless decisions and not thinking of the consequences will be felt for a long time. The first part of 2012, Pig people have to really curb their spending habits, as overspending would cause problems in the second half of the year. Do not lend money to friends, go guarantor for friends or family, or co-sign loans for friends or family. To prevent loss of money, reject any get rich quick schemes or gambles suggested by friends and family. In general, Pig people should budget their expense and adjust their financial plan this year. Before entering any new ventures, business or personal, go behind the scenes and investigate all information supplied to you, because other people could be misleading you. Be very particular when signing documents and read the small print, because they might cause many arguments and legal problems. You need to learn how to pace yourself as you could possibly over-commit yourself at work to impress bosses and party too hard, which could lead to burn out. Be careful. This year brings to Pig people the opportunities to do the socialising you didn’t get last year, appearing in the social limelight and doing lots of entertaining, visiting the theatre and attending social events. Focusing on friendships will play a big part of your life this year, with some of your friends demanding of your time and wisdom. September, October and November feature as the better months for socialising. Building positive relationships between your friends and relatives will be very rewarding. Pig people are very generous when helping friends and family; don’t forget to give yourself some quality time. This year promises to be exciting and lively, so get your glad rags out, because there should be lots of invitations to parties and gatherings, increasing as the year progresses. Don’t make decisions or become involved in other people’s affairs, without first knowing the story from both sides. Some people close to you, either family or business colleagues, may be offended by your words and deeds. To avoid conflict, be very clear about subjects you are commenting on, and don’t gossip. Single Pig people may find new love interest through a friend or at a family celebration. Married Pig couples will enjoy more bonding and time with family. It is important for Pig people to find hobbies and outdoor activities as if you don’t this could lead to depression. Pig people born in 1971 need to by very careful when driving or operating heavy machinery. The best advice for year is to be very careful with your finances. Don’t put your funds into high risk investments, as this will cause you to lose money, resulting in unnecessary stress. Horoscope Colours: Purple, Red, White. For luck and protection; wear or carry a symbol of the Tiger this year.